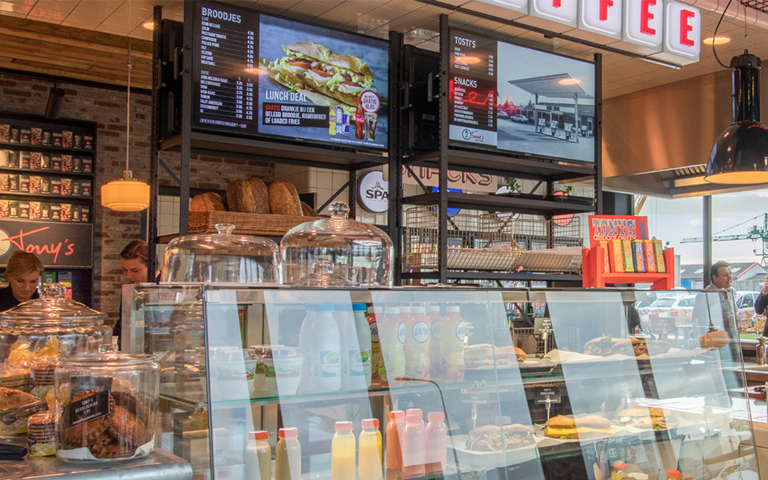 Haan's foodservice branch runs the food and beverage operation at its 80 own-brand and staffed petrol stations, plus shops at some Esso, Shell and BP stations. These provide the expected mix of non-food items and snacks. It offers quality, but in a highly competitive market, and with more people on the move more often, is it capturing all the possible opportunities? 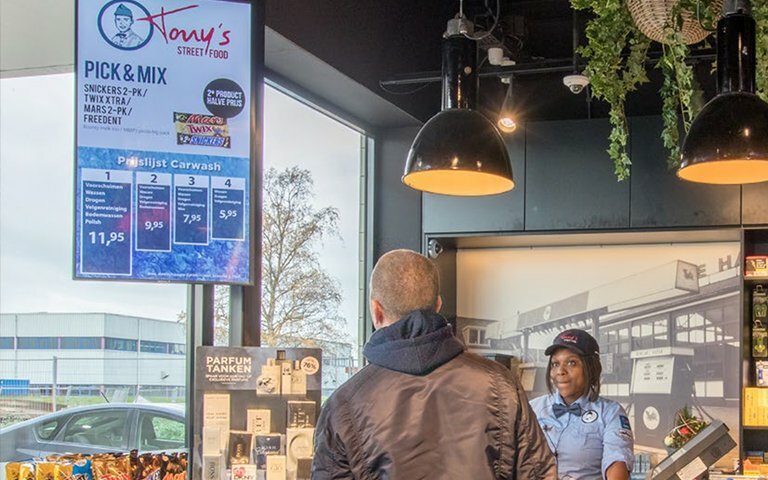 Haan decided to not just move with the times, but to leap ahead with a total reinvention of the conventional petrol station shop concept: Tony's. More upmarket and more expensive than the average petrol station catering, but offering a really great choice and quality. What Haan calls “fresh fast food”. The Tony’s concept is based on American diners and food halls. The atmosphere is comfortable, relaxed and consistent from shop to shop. 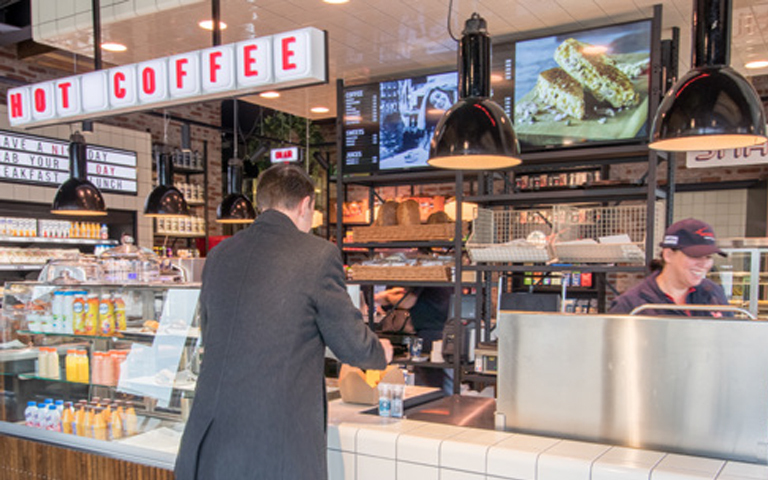 Customers can see the chefs prepare orders, spin their favourite tunes on a jukebox, or just read the paper. And most importantly, the menus vary according to location and time of day. 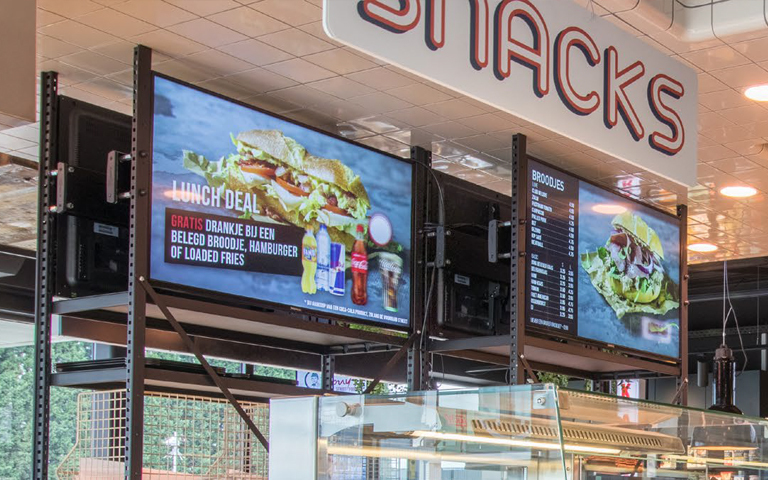 Recognising the importance of signage in promoting sales and creating a convivial atmosphere, Haan asked De Digitale, which is a partner of Philips Professional Display Solutions and Vogel’s Professional Netherlands, to help deliver the all-important creative communication. 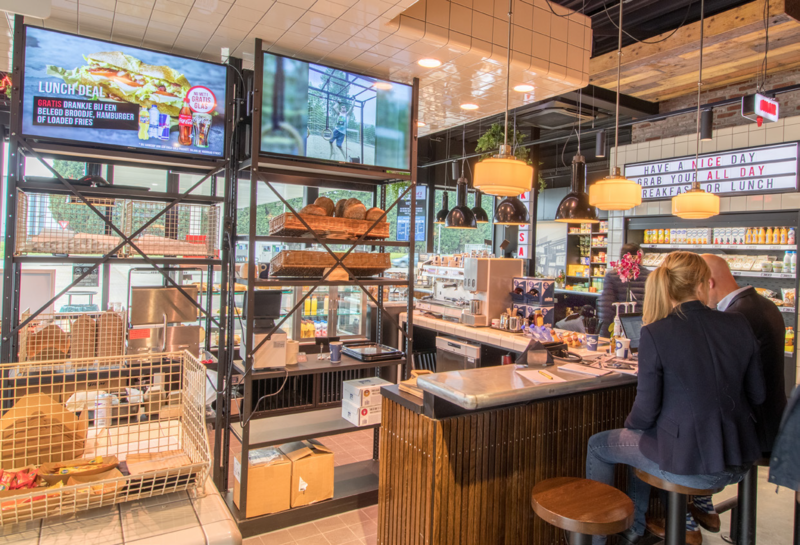 De Digitale used the Vogel’s Connect-it Series in such a creative way, that it perfectly blends into the modern Tony’s interior. Both ceiling and wall mounting solutions were installed. The colour accurate Philips D-Line displays were professionally mounted onto the Vogel’s PFB 34xx interface bars and PFS 33xx and 35xx interface strips. Two displays show stories about the products and menu items on offer. The other two screens are used to show what is currently being served. Haan has transformed the hurried petrol station pit-stop into a pleasurable food and drink experience. 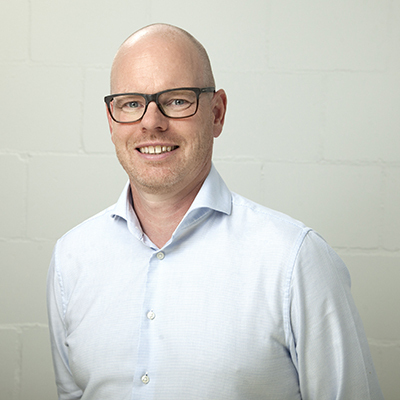 The project for De Haan Minerale Oliën B.V. / Tony’s was realized through a collaboration between our Dutch partner Vogel’s Professional Netherlands (VPN) and De Digitale B.V.